Marnie has over 30 years of experience in the non-profit sector as a volunteer and staff person. 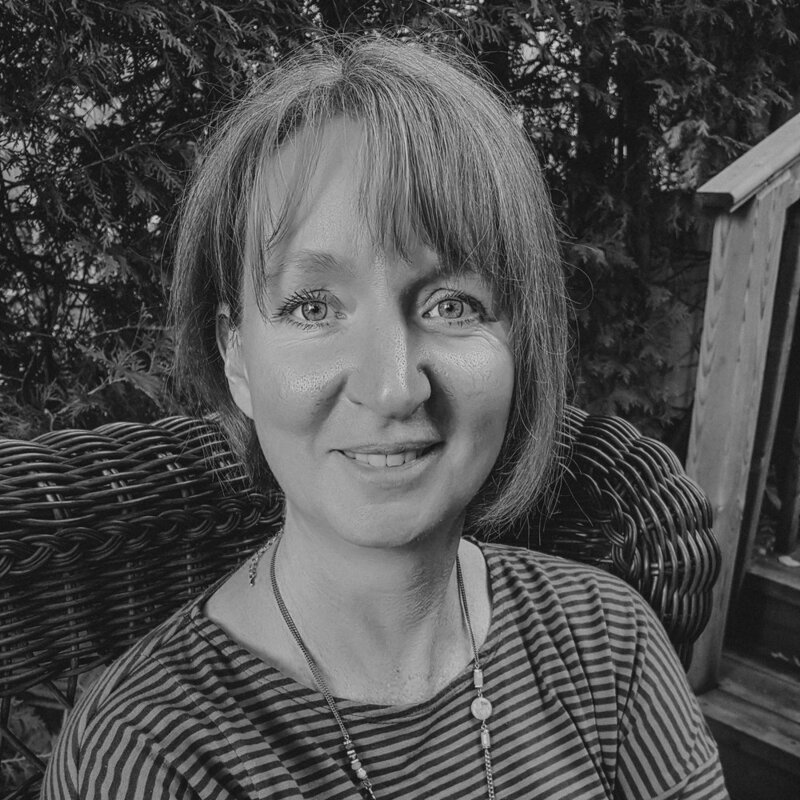 She is proud to be part of transitioning the Guelph Film Festival into a full-fledged non-profit and is one of the festival's founding board members. She is excited to continue to help the festival move forward toward its full potential. For Marnie, the best part of the Film Festival is learning about, and feeling connected to, subjects/places/issues that initially seemed so distant from her own life and experiences. She loves that from year to year the festival challenges her to care about people and the planet in new and better ways. Jenn is a librarian, a mother, a traveller, and a huge fan of the Film Festival and this community. With years of experience working at banks, managing library budgets, and volunteering as treasurer and president at her kids' preschool, she welcomed the opportunity to take on the role of treasurer with the GFF. She loves a book that makes you think, a film that shows you the world, and any opportunity to bring people together to talk about important (or just fabulously interesting) stuff. Growing up in a very small town with television viewing limited to two stations, Dominica started watching films at an early age. Introduced to important issues through documentaries, Dominica developed a passion for social and environmental justice. A community organizer and anti-poverty advocate, Dominica believes in the power of film to bring light to key issues and centre the experiences of those most impacted. Ruth has lived in Guelph for the past decade. She teaches and writes about documentary films in her capacity as a law professor at Osgoode Hall Law School in Toronto, where she is the convener of the LawArtCulture Colloquium. She travels a good deal which enables her to keep an eye out for interesting films from a variety of places that might resonate with audiences here in Guelph. She is interested in ‘slow documentaries’ where filmmakers work for years on a single project, building relationships with their subjects and developing their story over time. Some great examples would include Unarmed Verses and The Road Forward. Recently voted most likely to be late for his own funeral, Adam is the loving father of two children and one dog, has spent his adult life working in community development, adolescent mental health, and as an occasional museum curator, while turning passion projects into a career. Adam is a proud member of the Guelph Film Festival’s Board of Directors…pending future dismissal…his interest in community and community stories has led him to this post. Middle aged skateboarder, lover of film and music, big thinker that prefers intimate environments, and always on the run. See you at the Festival!! !